For the first time ever, nearly the entire catalog of titles from Melbourne University Publishing (MUP) is available to academic libraries. 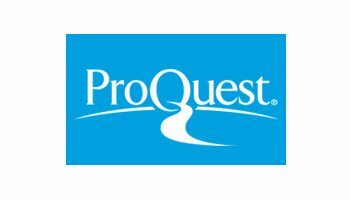 A recent agreement between ProQuest and MUP gives libraries access to 630 titles via the Ebook Central platform, where they can acquire them by demand-driven acquisition or single-title purchase. “We are delighted that this new ProQuest partnership will make MUP titles readily accessible to students, faculty and researchers across Australia and worldwide,” said Emma Rusher, Head of Marketing and Sales, MUP. MUP was founded in 1922 at the University of Melbourne with a mandate to publish fine writing from the university and beyond, contributing to public discourse. MUP is renowned for its award-winning books covering a wide range of subjects and genres important to academic library patrons – including politics, current affairs, history, art, cultural studies, science and more. MUP’s titles are published under three main imprints: MUP, The Miegunyah Press and Victory Books. With Ebook Central, researchers can search for and pinpoint MUP content at the title, chapter or sub-chapter level; read books online or download them for later use; and highlight passages or make annotations for later reference. These titles join Ebook Central’s collection of more than 1 million titles from distinguished publishers around the globe. Several of MUP’s acclaimed titles now available on Ebook Central include “The Land of Dreams: How Australians Won Their Freedom, 1788–1860,” by David Kemp, “Sunburnt Country: The History and Future of Climate Change in Australia,” by Joëlle Gergis, and “A Matter of Trust: The Practice of Ethics in Finance,” by Paul Kofman and Clare Payne. Publishing books with spine since 1922, Melbourne University Publishing (MUP) is Australia’s first university press. MUP is the home of agenda-setting political, history and current affairs titles; landmark illustrated art and lifestyle books and the best in Australian academic research and writing. MUP is dedicated to sharing top Australian non-fiction writing with a worldwide audience publishing books and monographs, ebooks and audiobooks. Discover more at mup.com.au.